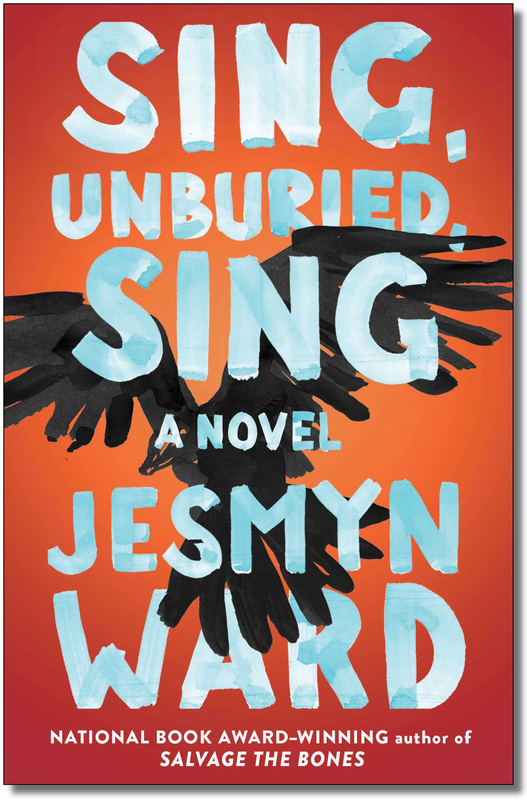 The stench of death permeates every page of Jesmyn Ward’s latest novel, Sing, Unburied, Sing. In the opening pages, Jojo, one of Sing’s three narrators, helps his grandfather slaughter a goat. Illness, that hint of the body’s mutability, punctuates the novel’s central journey, a road trip up the state of Mississippi, with Jojo’s little sister, Kayla, carsick and vomiting. Addiction—that living death—pulses beneath the narration of Leonie, Jojo’s mother. And Jojo’s maternal grandmother, whom he calls Mam, suffers from cancer, progressing toward the grave as Sing moves forward. With so much fatality, both literal and figurative, flooding the narrative, it would be easy to interpret the novel as a commentary on the deadliness of poverty. But Ward doesn’t tell a tale merely of scarcity and squalor. She weaves in elements of the magical and thereby elevates the novel to the realm of myth. Ghosts haunt the pages with the injustices of the past. The character Given (often referred to by his sister, Leonie, as “Given-not-Given”) was murdered in high school by a white acquaintance; the crime was deemed a hunting accident, and the perpetrator went unpunished. Another ghost is Richie, who is first conjured for Jojo by his grandfather’s stories of Parchman Farm, a prison that was operated much like a plantation. Richie was murdered at Parchman as a young man, and his ghost has lingered there since. Given’s and Richie’s stories become tangled up in the larger narrative, creating an unwieldy tension between past and present that acts as the narrative’s fulcrum and a clue to its deeper meaning. Leonie, Jojo, and their retinue travel to Parchman to retrieve Michael, Jojo’s white father, after his stint in the prison. But as they are leaving, Jojo encounters Richie, who is still a young man, the same age as when he died. It is this meeting, this union of story (Richie) and listener (Jojo), that frees Richie and allows him to leave Parchman and follow Jojo’s family. I didn’t understand time either, when I was young, How could I know that after I died, Parchman would pull me from the sky? How could I imagine Parchman would pull me to it and refuse to let go? And how could I conceive that Parchman was past, present, and future all at once? That the history and sentiment that carved the place out of the wilderness would show me that time is a vast ocean, and that everything is happening at once? Here, “Parchman” could be replaced by “injustice” or “racism,” and the passage would still sting. After the family returns home to Bois Sauvage (the same setting as Ward’s previous novel, the National Book Award-winning Salvage the Bones), Richie finally is released from the burden of his story: how Parchman, and perhaps all of Mississippi, all of the South, is “past, present, and future all at once.” In saying so, Richie acts as Ward’s authorial mouthpiece. He is saying, in other words, that in many important ways, life for impoverished people of color in the United States has changed only superficially since the days of Jim Crow. Parchman Farm differs in name only from the time of slavery to its operation as a twentieth-century plantation. Leonie and Jojo are like ghosts themselves, overflowing with stories, unable to leave the land that represents their heavy past. It is this stringent cultural critique that has garnered a National Book Award longlist nomination this year for Sing, Unburied, Sing. The intensity of Ward’s message, and the mythic proportion she conjures around America’s systemic racism, give weight to the novel, pushing it forward with a dire need to be heard. Despite Sing’s force, many factors that would enliven the work when used sparingly—like multi-layered narrative, obvious connections between form and ideas, simile-heavy prose, and complicated juxtapositions between past and present—together create a novel is at times challenging to untangle. Delving into Sing, Unburied, Sing, therefore, is often like wading into a steamy Mississippi swamp, with Jojo’s and Leonie’s voices dragging the reader deep into the setting, into their psyches. Early on, Jojo describes his grandfather Pop’s “stories about eating cattails after his daddy been out gathering them from the marsh. Stories about how his mama and her people used to collect Spanish moss to stuff their mattresses.” The killing and skinning of a goat in the novel’s opening pages, Leonie’s and her mother’s herbal remedies—these details bind these contemporary characters to Bois Sauvage’s past, grounding the narrative more in history than in the present day, particularly for readers unfamiliar with rural poverty. Except for certain obvious clues—like Jojo wearing a hoodie and giving his little sister Kayla a Fisher-Price play set—the reader could easily suppose the 1920s to be Sing, Unburied, Sing’s setting. The overt racism of Michael’s family and the structural racism of Parchman Prison emphasize the fact that, aside from surface-level details, Jojo’s life is not much different from his Pop’s (for example, Jojo is nearly shot by a cop after the family’s car is pulled over). Clearly, in the lives of people of color, there has been no real progress toward extinguishing racism, or even toward allowing innocent kids like Jojo to feel safe. The world of Sing, Unburied, Sing is very much like our own, haunted and alive with horrors. Some of Ward’s characters can’t see the ghosts, just as many of our contemporaries remain blind to racial injustices. Others can see the injustice, but they still choose to ignore our world’s powerful ghosts. REBECCA RENNER is a journalist and fiction writer living in New Smyrna Beach, Florida. Her writing has appeared recently in New York Magazine and The Washington Post. She is working on a novel. Sing, Unburied, Sing. By Jesmyn Ward. Scribner, 2017.